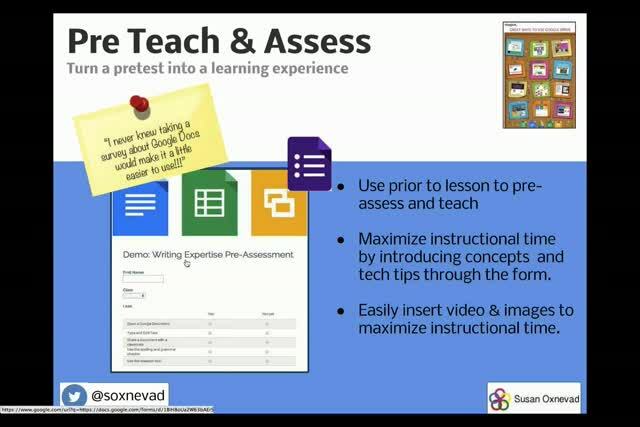 Google Apps for Education provides educators with a suite of powerful tools for teaching and learning. 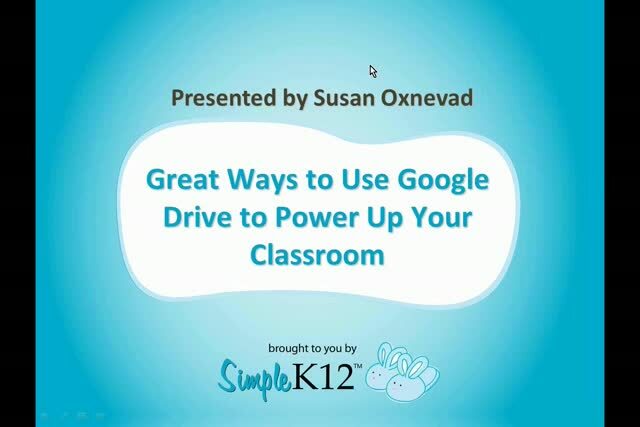 Join Susan Oxnevad as she explores many of the ideas in "12 Great Ways to Use Google Drive," a popular infographic packed with practical suggestions and project ideas for leveraging the powerful features available within Google Drive. During this session, Susan will share ways to use multimedia-powered forms to pre-teach, assess, and drive instruction. She will also discuss some of the powerful features available in Documents that can help students develop 21st century skills. In addition, Susan will explore ways to use Add-ons to add functionality to your Docs and Sheets. Come discover all of these and more! Thank you for the practical suggestions and project ideas. Presentation very helpful. 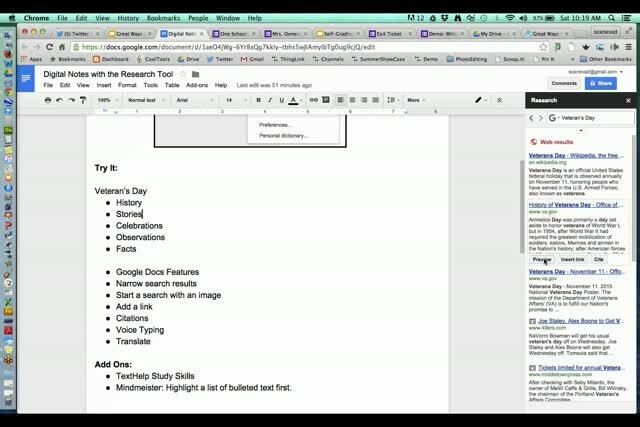 Very useful webinar Thank you! 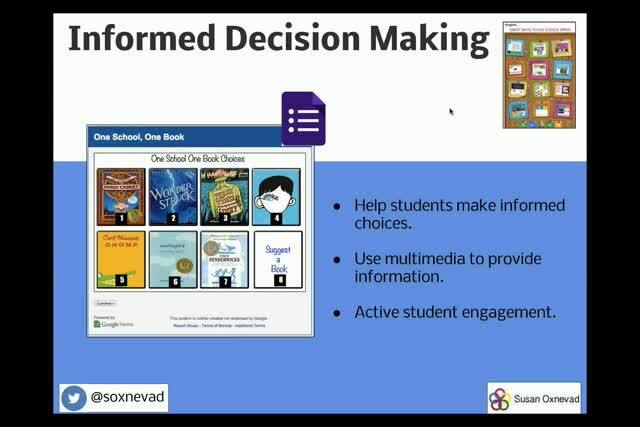 This webinar was very helpful in getting to know more about what I can use in the classroom. 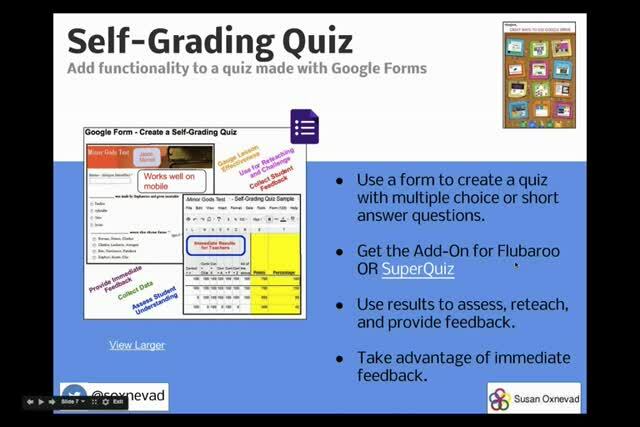 I personally wish she used more detail on google forms to make assessments and how to check answers. Excellent. The Digital Tools will come in handy immediately. I am really excited about it. New ideas to use and share with others. Thanks so much! Thanks for the webinar. I am always looking for new ideas.